Few projects have been as long in coming as the Smithsonian’s National Museum of African American History and Culture, by London architect David Adjaye. Located on the National Mall in Washington, D.C., the 40,000-square-metre building has been in the works for over a century, if you consider that the plans were initially hatched when Civil War veterans began collecting funds for a museum devoted to the American history of black culture. No doubt Adjaye is holding his breath, now that project is on the verge of opening. The exterior, completed last year, is defined by an impressive 3,600 bronze-coloured webbed panels that clad the flat-roofed structure. Curators are now filling the galleries with a collection of objects that reaches back 400 years, including such powerful artifacts as an actual slave cabin from South Carolina. Adjaye has described the project as “the most important demonstration of democracy in the world,” and President Obama is expected to cut the opening ribbon on September 24. Even from its exterior – a collage of hard edges and sweeping curves rendered in tesselating triangular windows and metal panels – Coop Himmelb(l)au’s MOCAPE signals its multifunctional nature. The 80,000-square-metre building brings two institutions (the Museum of Contemporary Art and the Planning Exhibition) into a single structure; they’re divided between two very different volumes, but unified by a grand entrance, sheltered under a towering entryway with a curving porte-cochère. Visitors passing up its grand staircase and through the front doors will be greeted by a soaring, skylight-topped atrium crisscrossed by Jetsons-like catwalks, but the real centrepiece here is “the dolphin”: a semi-enclosed two-storey volume wrapped in an undulating envelope of polished chrome – a true inhabitable sculpture. Few briefs are as demanding as the institutions where medicine is taught. Just as important as the advanced technical requirements of mock clinics and operating rooms are the needs of a facility where collaborative learning and teaching take place. 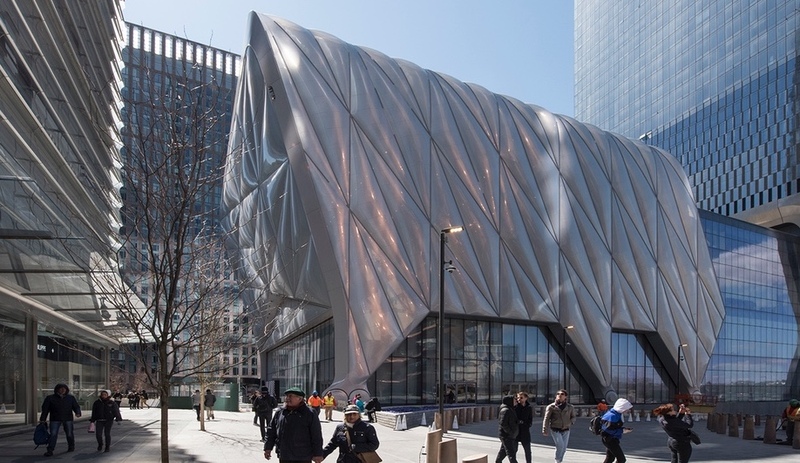 Diller Scofidio + Renfro’s solution is an impossible-looking tower with folded concrete planes that seem to be supported by nothing more than sheets of glass; it resembles nothing so much as a biology textbook illustration of a mitochondrion. Though visually stunning, the floorplates’ unusual topography is actually part of DSR’s strategy to connect spaces through the 9,300-square-metre tower: a 14-storey network of social and study spaces, dubbed the “study cascade,” is distributed along a vertical staircase, linking spaces of different sizes and uses across the irregular floor planes. Though the National Music Centre is opening doors to the public today, the new home of Studio Bell won’t be officially completed until October 1. Exhibitions will open in phases over the next three months, but Calgary will celebrate Canada Day by getting its first look at five floors of exhibition space, performance venues, broadcast facilities and recording studios – including the Rolling Stones’ famous mobile unit. Outside work continues on the facade of the building, which wraps the historic King Edward Hotel. A legendary venue for live blues in the city, the hotel was rebuilt as part of the project; it will serve as the largest artifact in the museum’s collection and host concerts on its restored stage. The focal point of Tadao Ando’s first standalone project in New York City – a seven-storey, super-luxe condominium in the neighbourhood of NoLIta – will be an epic living wall of climbing hydrangeas, English ivy and clematis, according to the latest renderings. At the corner of Kenmare and Elizabeth Streets, the hotly anticipated building is a balance of voluminous glass, polished metal, lush greenery and velvety smooth concrete – an Ando signature. The facade will be matched by sophisticated interiors, designed by Gabellini Sheppard Associates in collaboration with Ando, which boast dehumidification systems for art collectors and operable skylights perched above deep Japanese soaking tubs. The seven-unit residence is slated for spring 2017 occupancy. The city of Montreal has added another project to its revitalization efforts in preparation for its 375th anniversary next year: a joint overhaul of the early-20th century Alexandra Pier and the Iberville International Maritime Terminal, along the Saint Lawrence River. The 38,000-square-metre development by local firm Provencher Roy will include a ground-level passenger terminal for easy disembarkment, and a green roof terrace and riverside esplanade to re-establish the relationship between citizens and the river. Presiding over the pier like a modern-day lighthouse will be an observation tower (to be completed in 2019) that will serve as a new gateway to the historic city. Canada’s national newspaper will relocate to its new home at 351 King Street East in Toronto come late autumn, occupying the top five floors of a fully glazed building by Diamond Schmitt Architects. The move has been long in coming for numerous reasons, including the fact that the site and surrounding streets are chock-full of historic landmarks and heritage buildings – one of the few districts in the city where so many red-brick storefronts and historic corner buildings remain intact. Last December, the concrete foundations of the 500,000-square-foot building were poured, and now the curtain walls are pretty much in place. According to project architect Dale McDowell, the new centre’s Jenga-style layers, where each floor is slightly askew, are a response to the neighbourhood’s low-rise scale. 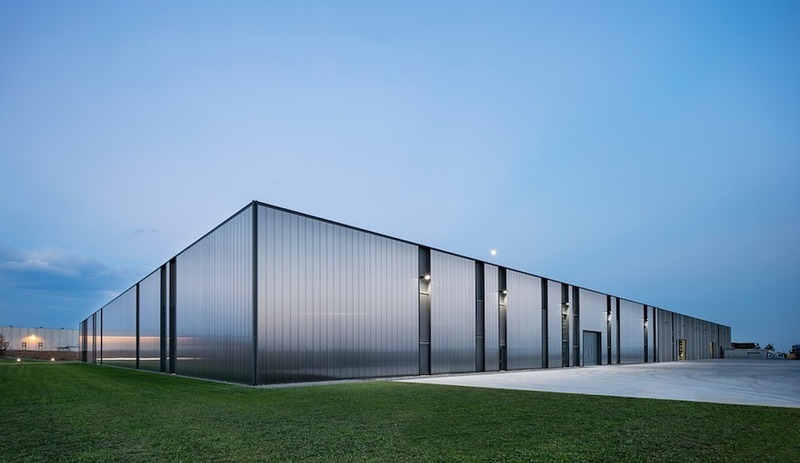 The firm broke up the building’s boxy profile further with glazing that alternates from floor to floor: grey-tinted glass substrate on one level, and darker reflective glass on the next. When the Globe’s editors and writers move in, they will have access to inviting terraces on every level, five of which will be large enough to host company barbecues. A sprawling university campus masquerading as an urban garden is gaining ground in Vietnam’s Ho Chi Minh City. Vo Trong Nghia Architects’ building aims to disrupt the city’s landscape of vertical volumes with its undulating, mountainous form. 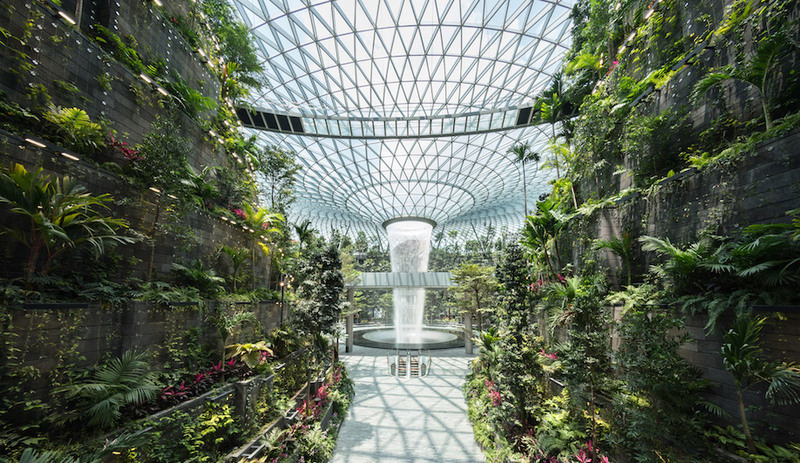 Bursting with vegetation (trees and plants will cover nearly every circulation well, walkway, balcony and rooftop of the 22,500-square-metre structure), it will be easily recognized in a city that has devoted a scant 0.25 per cent to green space. The sustainable design will also reduce the campus’s carbon footprint by scaling back the need for air conditioning through the abundant shade, and providing better air quality to the area. Ten years after the first concepts for 3 World Trade Center were unveiled, a topping-out ceremony on June 23 saw the final bucket of concrete hoisted to the peak of the 80-storey tower. When 3 WTC is completed in 2018, it will be one of New York’s tallest structures – with some of the city’s most dazzling views – thanks to starchitect firm Rogers Stirk Harbour + Partners’ unique column-free design. Originally slated for a 2012 completion date, this crown jewel in Abu Dhabi’s cultural renaissance is now expected to open in December. Now that the exterior is largely complete, the site – on Saadiyat Island, 500 metres from the city’s shoreline – has already become something of an attraction. Jean Nouvel’s design sees the building surrounded on three sides by the lapping waters of the Mediterranean, which had to be held back during construction. 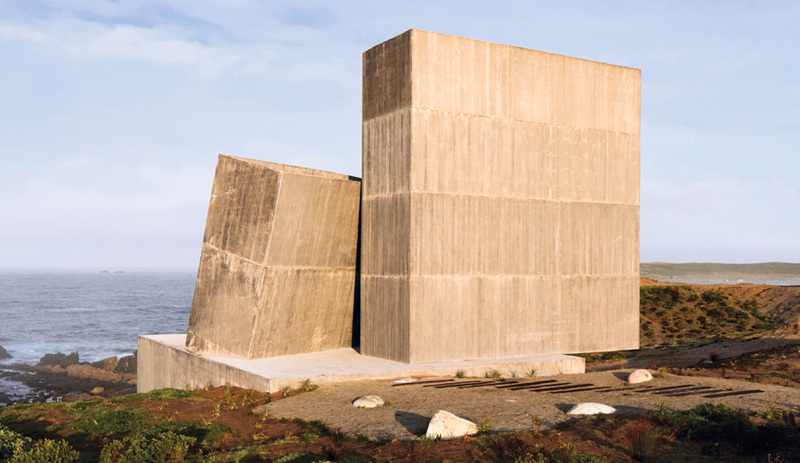 This past spring, the 12-metre-high walls that protected the site were removed, replacing the sandy landscape with shimmering ocean as work moves to the interior, which is dappled by sunlight filtering through the domed roof.